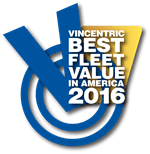 A Business Certified Dealership is a Nissan Commercial dealer that specializes in selling and servicing the entire NV lineup: NV® Cargo, NV® Cargo High Roof and NV® Cargo Standard Roof, NV200® Compact Cargo, and NV® Passenger vehicles. Only Business Certified Dealers offer exclusive commercial incentive packages, while providing dedicated Commercial Vehicle Account Managers and Priority Service. The dedicated Commercial Vehicles Account Manager at Carson Nissan, Max Burns, "The Van Man," provides personalized service, handling commercial customer transactions in the most efficient manner - over the phone, at the dealership or at the customer's location. The Nissan NV (Nissan VN) is available in three models, NV1500, NV2500 HD and NV3500 HD, and in two roof configurations - Standard Roof and High Roof. The NV is the first commercial van to offer rugged body-on-frame construction combined with a High Roof, offering most users the ability to walk, stand and work in the cargo area. 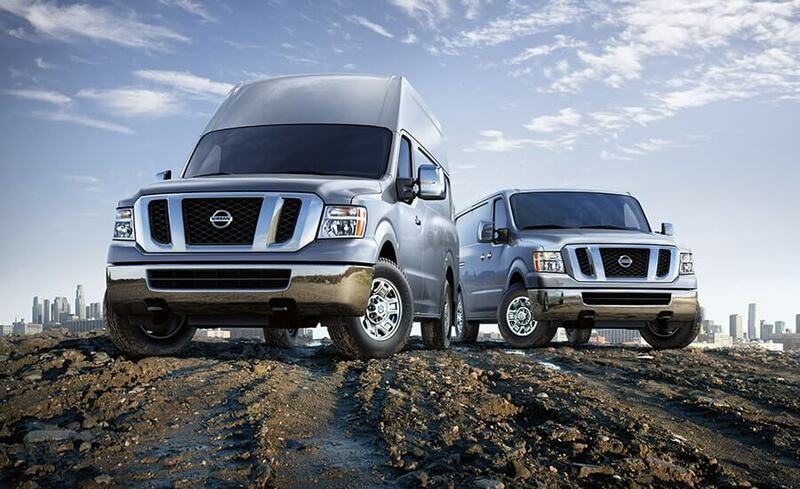 The NV's rugged, masculine design combines a full-length hood with access to the engine for service and maintenance, along with signature Nissan styling cues such as large headlights and vertical grille. The broad bodysides project a serious commercial vehicle appearance and provide ample room for company logos and advertising messages. The tall, wide doors offer easy access to the cargo area. Nissan NV Inside the cab is a roomy comfortable interior with wide, supportive seating and an expansive instrument panel. 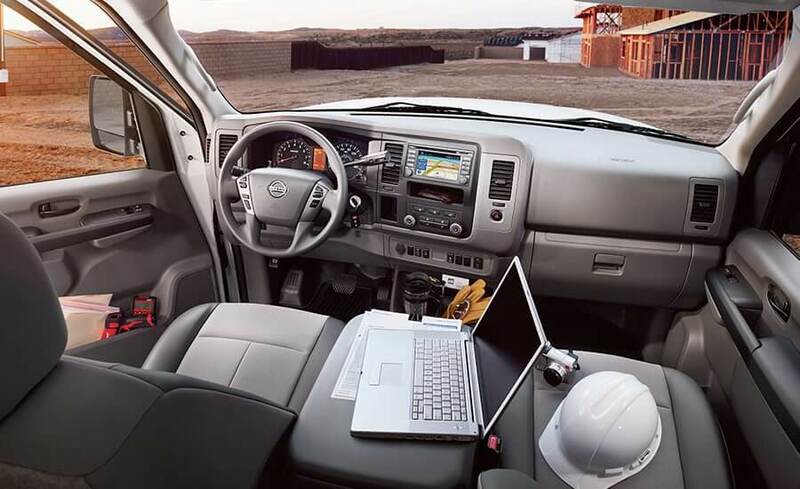 The passenger seat includes a segment-exclusive fold-down feature, providing a convenient worktable. An available lockable center console offers innovative storage compartments and space to hold binders, hanging file folders and a laptop computer. Other convenient storage spaces include a wide overhead console (available with High Roof models), underseat storage drawers (NV2500 HD and NV3500 HD models) and large door pockets. The NV also provides exceptional utility, thanks to a long, wide cargo floor, square-top wheelwell housings and nearly vertical sidewalls. Along with maximizing cargo space, the sidewalls accommodate aftermarket storage systems without excessive modification. The cargo area also features a full-length inner panel to prevent cargo from denting the vehicle's outer skin (SV models). There are also multiple integrated reinforced attachment points for mounting cargo customization equipment. Powering the rear-wheel drive Nissan NV is a choice of two powerful yet fuel-efficient engines - a 4.0-liter V6 and 5.6-liter V8. Both are mated to a standard 5-speed automatic transmission.